Have you ever wanted to leave your old life behind and start again? Do you feel like your friends are taking advantage of you and your situation? Do you ever feel like you don’t know if your friends are real friends or not? Meg feels like no one wants her friendship for who she really is but for what she represents, so she makes the drastic decision to leave her family and friends behind and make a new start on the other side of the world. Follow her as she meets new friends and makes new relationships based on her new life. What happens when her two lives collide? Will her new friends want to know the old Meg! 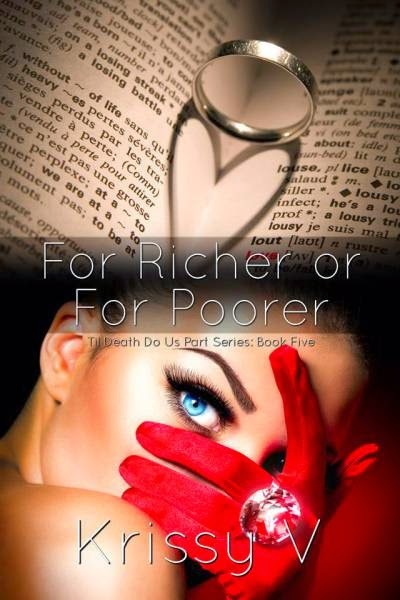 So "For Richer or For Poorer" is book five in the 'Till Death Do Us Part' Series and in true mad Susan style I have started with the last book in the series! Why? I hear you ask. Truthfully it wasn't intended. I've always heard a lot about Krissy Vs books but when we were asked to take part in her release day, Ladies Living in Bookland were honoured. I didn't however have the time to read the four previous books. However...the method in my madness has paid off! I adored this book and am already planning on downloading the previous four books as I'm a sucker for a good series and I get the feeling I've found another one! So - enough about my crazy book reading style! 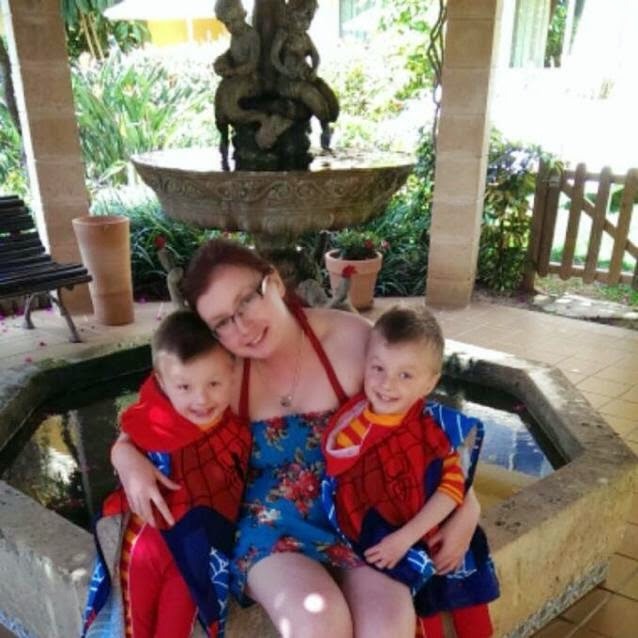 We meet Meg who has started out her life again in Bristol after moving from New York. Knew there must have been something juicy there...surely? 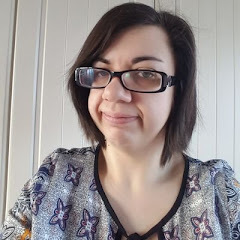 But to no avail we hear how she forms new relationships, settles into her new job and meets a rather gorgeous man (because there always is a gorgeous man!). Dillon and Meg fall hard and fast from their first meet, knowing they simply want to spend every waking minute together (although Meg's concerns about him being her superior she tries keeping the two separate). On a trip away to New York the couples lives change instantly. Dhillon finds out that the woman he adored has been lying to him and he's devastated. We hear how Meg had come from a privileged upbringing, unlike Dillon despite his current success with business partner and best friend Caleb. How she wanted to be completely unassociated with her previous life. Because she didn't have any true friends or relationships she could count on there. Fortunately the couple find one another on more levels than one and are able to move forwards. In fact the second love of Meg's life (art), becomes a real aspect in the story when her friends and family discover her real talent and she merges her talent from her life in New York and her present life in Bristol. It's beautifully written and the couple are so physically intense it's a brilliant read. I couldn't put the book down until I knew Megs big secret and how it would all end....so Krissy has done her job wonderfully there! Well worth a read. Five out of five stars. Get your copy of For Richer or For Poorer here (UK) or here (US). Add to your Goodreads TBR here.